Mini Countryman Boot Space, Size, Seats | What Car? 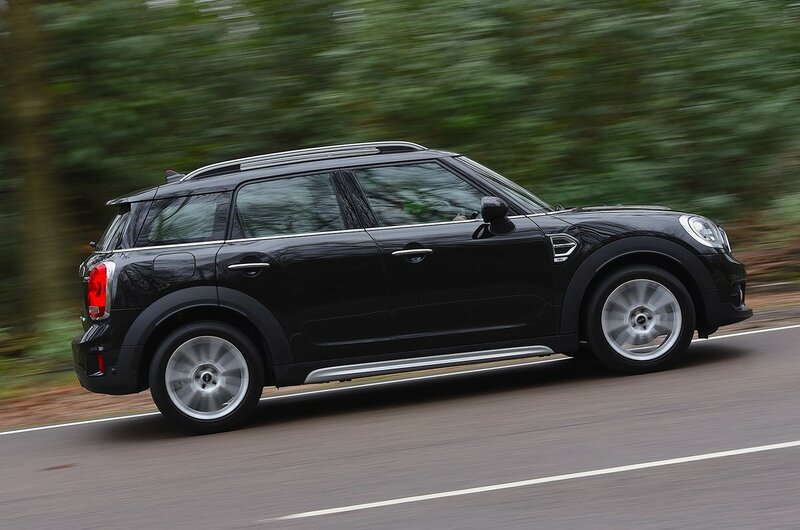 The Countryman is large by small SUV standards and makes decent use of what space there is. A high roof and low seating position mean even the tallest of drivers will be able to get comfortable, and a wide body means you shouldn’t be rubbing elbows with your passenger. Indeed, you’ll need to step up to a family SUV such as the Seat Ateca or Skoda Karoq if you want more space inside. Two cupholders in front of the gearlever and a couple of small cubbies for loose items are pretty much all you get when it comes to storage space. The door bins are a reasonable size, but you won’t be able to fit huge amounts into the glovebox. Mini offers a reasonably priced sliding rear bench as part of the Activity Pack on all but the Cooper S E. Like similar systems on rival SUVs, this allows you to slide the seats forward to prioritise boot space or backwards to give your passengers more rear leg room. With the seats slid all the way forward, only very young children will be comfortable, although you do get plenty of room for adults with them slid back. The Cooper S E gets slightly less rear head room as a result of the battery pack under the back seat, but you’re unlikely to notice. Only if you have a 6ft-plus driver might you struggle to get another similarly tall adult in the back. For similar money, you could have an even larger SUV that will make carrying lofty individuals easier. Isofix child seat mountings are standard for the outer two seats, but a centre armrest is an optional extra. Access isn’t too tricky, though, due to relatively large rear door openings, but you will have to duck down more than in taller rivals. The Countryman’s rear bench splits in a handy 40/20/40 configuration, so it’s easier to carry long and narrow items such as skis and snowboards. Folding down the rear seatbacks is simple in the Countryman, although they do lie at a slight angle when folded down. As we mentioned above, the optional sliding rear bench allows you to prioritise either boot space or passenger room. It’s not that pricey and does make the Countryman that bit more practical. Just remember you can’t have that option in the Cooper S E.
As handy as it is, other rivals offer similar systems, while the larger Karoq goes one better with rear seats that can be fully removed for maximum carrying capacity. There’s also the option of a rather gimmicky ‘picnic bench’ in the Activity Pack that folds out of the boot floor. A good chunk of the Countryman’s growth spurt compared with the previous generation has gone into the boot. It now has significantly more room than that in a regular hatchback and even slightly more than the boot in the larger Nissan Qashqai. A fairly low load lip means you don’t have to heft bulky items too far off the floor, and a storage compartment pack is available that adds a lockable variable-height boot floor, ensuring there’s little in the way of a drop to the boot floor and virtually no step up to the rear seats when they’re folded. This pack also adds eyelets for tying loads down, plus a couple of straps and additional netting. The Cooper S E’s battery pack once again causes some issues. Because the boot floor is higher, luggage capacity is reduced by a noticeable amount. That said, it’s still bigger than what you’ll find in the Volkswagen Golf and should still take a couple of suitcases without any trouble.